You have decided to sell your home and worked with your Realtor to set the house price. The listing house price is set. You stage your home and place it on the market. Weeks later, it hasn’t sold. The right buyers hasn’t seen your home, or have they? Not getting your home sold could happen for a variety of reasons. Perhaps the interesting floor plan you liked is a bit unique for other buyers. Maybe the one car garage the was perfect for you viewed as small. The reality is that there are many factors in getting a home sold. Some you can control, others you can’t. The biggest one you can control is the price! These six signs may be telling you it’s time to lower your house price. 1. Potential buyers aren’t coming to see your home. Generally, a new listing will get attention. Buyers want to see what they can get for the money. Also, almost all buyers want to get a deal. They will check out new listings – online or in person – and decide if the “value is there”. If your home isn’t getting showings, it is an indication that potential buyers perceive the price is too high. 2. You’re getting lots of potential buyers, but not getting any offers. If you’ve had good traffic from potential buyers, but not a single offer, it is a strong message. What are the buyer’s agent telling your agent about your home? If your home price is too high, it may be discouraging buyers from making an offer. 3. Your home’s been on the market longer than the average days on market for your area. Your Realtor should know the average days on market for a home in your area. If they haven’t told you what it is, ask. If your home has been on the market 10 to 15 percent more than the average, there is a problem. If the average days on market is 45 and you’re pushing 60, your price may be affecting buyer interest. When a home sits on the market, buyers can begin to believe there’s something wrong with it. That perception will delay a sale even further. If that is your case, consider lowering your asking price. 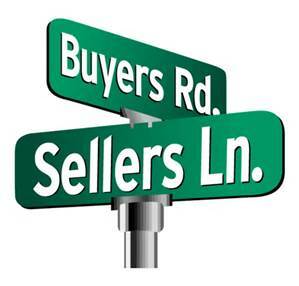 Are you selling because of a job transfer or you’ve already purchased another home? If so, consider dropping your price below comparable homes in your area. Keep in mind its how much a willing buyer will pay for your home that gets it sold. Not how much money you need or want from the sale. 5. If your home is “dated”, but you can’t make changes. Your Realtor should be gathering feedback from each home showing you have. If that feedback suggests your home is “dated”, you need to fix it. If you don’t have the funds to put fresh paint on the walls, clean the carpets and add curb appeal – lower the price. The fact is buyers expect to pay less for a home that does not show as well as others. 6. The competition in your subdivision may have changed. If weeks go by with no offers, have your Realtor check out the competition. The comparable homes on the market when you listed your home may not be on the market anymore. Now the question is what did they sell for and what’s now on the market? New listings in your area since you listed your home for sale will change your home’s market value. If comparable home sales or new listings show your price is “over” the market, it is time for a price reduction. Lowering the selling price is always a difficult thing to do. It means less money for the down payment on your next home. But the reality is to get your home sold, it may be necessary. Always discuss your situation with your Realtor. Understand what has changed in your local real estate market since you listed your home. While there are many factors the seller can’t control when selling their home. But the listing house price is one that is!